We List is an iPhone app developed by Sung Yoon Kim. 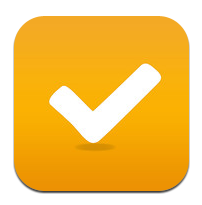 This app offers a simple, stripped down interface for making checklists, and organizing those checklists into categories for easy reference. Don’t let the poor grammar and spelling errors in the App Store description fool you. 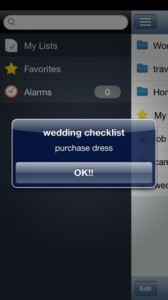 While the description of We List reads a little wonky, the app itself is a solid tool. If you prefer apps that are minimal in their design, We List’s spartan design makes the app simple to navigate and utilize. 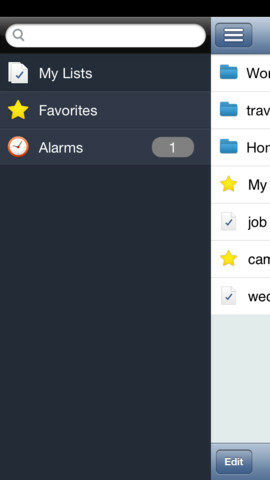 We List has a very sleek interface that’s in step with the look of Apple’s native apps. 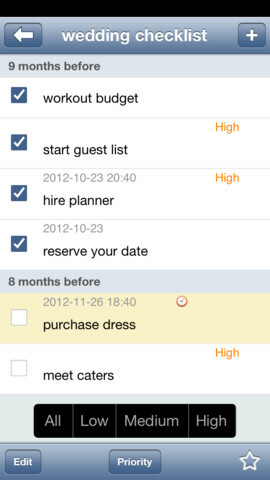 You can star your important lists to grab your attention. In addition, you can assign due date, due time and alarms to a given item. 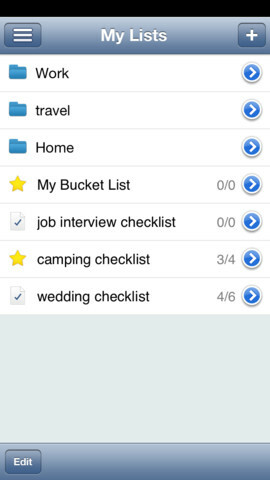 Suggested uses for We List include making checklists for planning parties or weddings, making a packing list before a big trip, or writing to-do lists to keep you on track during your work day. One thing that is great about We List is the ability to sort your lists into categories, making it simple to keep your work, personal, and “honey do” lists separated and organized. Will you like We List? That depends on personal preference. Some user reviews complain that the app isn’t “interesting” to use. But what We List lacks in flashy design it makes up for in stability and utility. If you like your iOS apps to be lean and mean, this bare-bones interface is sure to be just the checklist tool you’ve been craving. And best of all, it’s totally free: why not give it a try? We Listis compatible with iPhone 3GS, iPhone 4, iPhone 4S, iPhone 5, iPod touch (3rd generation), iPod touch (4th generation), iPod touch (5th generation) and iPad. Requires iOS 4.3 or later. This app is optimized for iPhone 5.